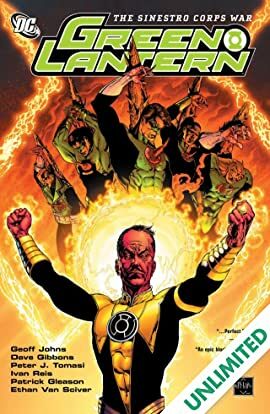 Sinestro -- Hal Jordan's former mentor and arch-nemesis -- has gathered an army of soldiers fueled by the fear they instill in others, consisting of Arkillo, Karu-Sil, the Cyborg-Superman, and hundreds more of the most terrifying villains the universe has ever seen! Former Green Lantern Kyle Rayner has been possessed by the entity known as Parallax and now assists the Sinestro Corps in cutting a swath of evil across the universe. 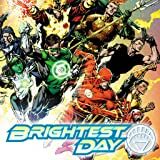 Trapped in the depths of the Sinestro Corps' Citadel and face-to-face with the Guardian of Sinestro's army of fear, Hal Jordan must find the will-power to battle these terrible foes. 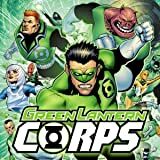 And as one of the Book of Oa's prophecies comes true, the Green Lantern Corps makes a last stand that reveals the reincarnation of one of their fold! 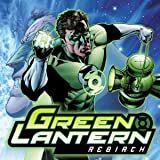 Collects Green Lantern #21-25, Green Lantern Corps #14-19 and Sinestro Corps Special #1. Green Lantern Hal Jordan was one of the DC Universe's greatest heroes, till tragedy made him one of its worst villains. But his rebirth and redemption come at a price. 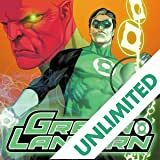 The fates of John Stewart, Kyle Rayner and the rest of the Green Lantern mythology unfold in this tale that involves the entire DCU! Don't miss this prelude to the biggest comic event of the year! 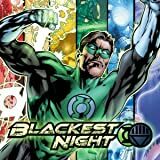 This special story recaps the key moments leading up to the start of BLACKEST NIGHT and will give readers everything they need to know about the Green Lantern universe, their ongoing War of Light, and their dark days ahead. Once dead, twelve heroes and villains have been resurrected by a white light expelled from deep within the Earth. Called a miracle by many and a sign of the apocalypse by others, the group's rebirth is a complex mystery that each now hopes to unravel--for the sake of the entire DC Universe.